This month is the first anniversary of my book, THE EURASIANS as this novel was first launched on October 5, 2016. The memories are both bitter-sweet; but mostly sweet. In 2006, when I first completed my manuscript on this title, I would never have thought that my novel would be successfully published and displayed by online retailers; but here it is on AMAZON, BARNES & NOBLE and others. I have told WRSP Radio from USA, when they interviewed me that the best thing is to get published by the traditional publishers. However, every author knows that these publishers are overwhelmed by aspiring writers who wanted to get their attention. It takes an incredible amount of luck to be noticed by them. So I chose another path; the self-publishing road. Self-publishing isn’t easy either; because if I can get my work published, so can millions other authors who also struggles to get the attention of readers. But the beauty of self-publishing is that we can get our work publish; whether people buy our books or not, we worry later. The most anxious moments within the one year for me were waiting for those reviews to come in. I really didn’t know what to expect. However, deep inside me, I believed my story is good; and thus the review would be positive. Finally, when I get those reviews, it was both joyful and sad because it was a MIXED REVIEW. Thank you very much to the reviewers. I want to thank Partridge Publishing and Author Solutions for helping me successfully publish my novel notably Jazzie Reed, Mike Collins and Ronald Reese. 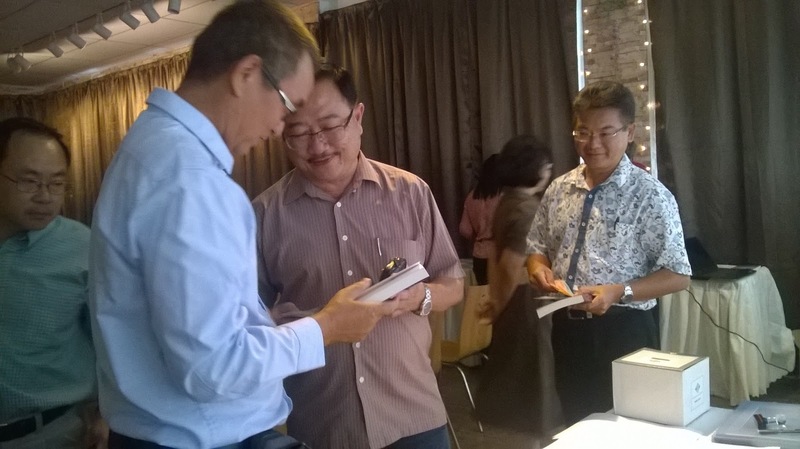 I also want to thank The Sabah Society, including The Sabah Society Sandakan branch for helping me launch my book. Then there are those that gave me media coverage, and I am very grateful to them. They are Ruben Sario from Star newspaper, Shalina R from Borneo Post, Utusan Borneo (which is in Malay) and also Doug Huggins and Daniele from WRSP Radio. Not forgetting also WH Smith bookstore especially Nurul who tirelessly help to sell my novel. 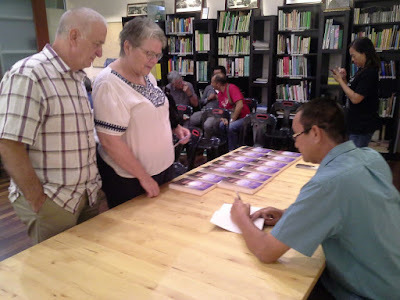 And finally, I also want to thank the Sabah State Library, Borneo Research Library, my family members, former schoolmates, friends including those from the social media and my book fans who had supported me by buying my books. ONCE AGAIN, THANK YOU VERY MUCH TO ALL.